Based on the dynamic heritage of the Humphrey/Limón tradition, internationally renowned master teachers Betty Jones and Fritz Ludin transmit their own individual ways of dance. Having taught legions of dancers with ethnic and cultural diversities around the globe, their curiosity inspires participants to search for their own individual roots. They conceive dance as poetry and an art form with Dionysian and Apollonian counterparts, where the sensation of weight versus suspension is being highlighted. Their mentor’s voices of the body, the experience of gravitational momentum, and breaching of barriers, will be an integral part of the workshop. Full reimbursement, minus a $20 handling fee, up to one week prior to starting date. Payments: We accept credit cards online only. Cash or checks at the studio or mailed prior to workshop (see below). Please make out checks to Sokolow Theatre Dance Ensemble – note on bottom: for Jones-Ludin workshop. To register and reserve a spot in class please send an email to francesca@sokolowtheatredance.org with the exact dates you will be attending, if possible. If you would like to watch class only, the fee is the same as a single class fee; please register for watching class. Registration via pay-pal: please send an email to francesca@sokolowtheatredance.org after your purchase confirming the exact dates you’ll be attending. Registration by check: please send checks or money order to Sokolow Theatre Dance Ensemble, P.O. Box 351 – Old Chelsea Station, New York, NY 10113 or pay at time of class; if you are purchasing a class card before April 30th please send a check postmarked by April 30th. Checks should be made out to Sokolow Theatre Dance Ensemble. Drop in classes ok but it’s best to reserve a spot. Special rate for Limón Dance Company members. Betty Jones is a legendary teacher and a founding member of the José Limón Dance Company. Countless roles in the Humphrey/Limón repertory were created on her, including her acclaimed Desdemona in Limóns “The Moor’s Pavane.” Her performances with the José Limón Company and her own Dances We Dance Co. were infused with a lyricism dramatic intensity, and delicacy unmatched. Her extraordinary gifts as a teacher have touched legions of dancers across the globe. 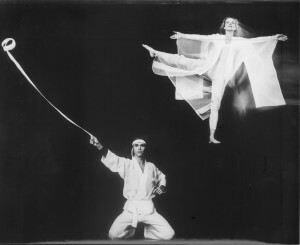 Fritz Ludin joined the José Limón Dance Company in 1963. He appeared in the NET documentary “An Hour with José Limón”, and assisted Mr. Limón in restaging “Missa Brevis” at the University of Utah, where he performed Limón’s own role. 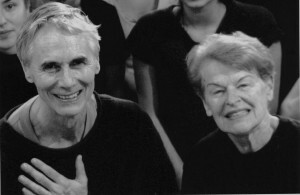 He and Betty Jones have been commissioned to restage Humphrey/Limón masterworks in Russia, France and USA. He has toured and choreographed internationally as the co- founder of Dances We Dance, including frequent teaching engagements in USA, Japan, China and Europe.